Licensed Practical Nurses work alongside nurses to provide vital care to the sick, injured, or disabled. Preparation for the role requires a minimum of 12 months training, which is less than the time it takes in preparation for registered nursing. 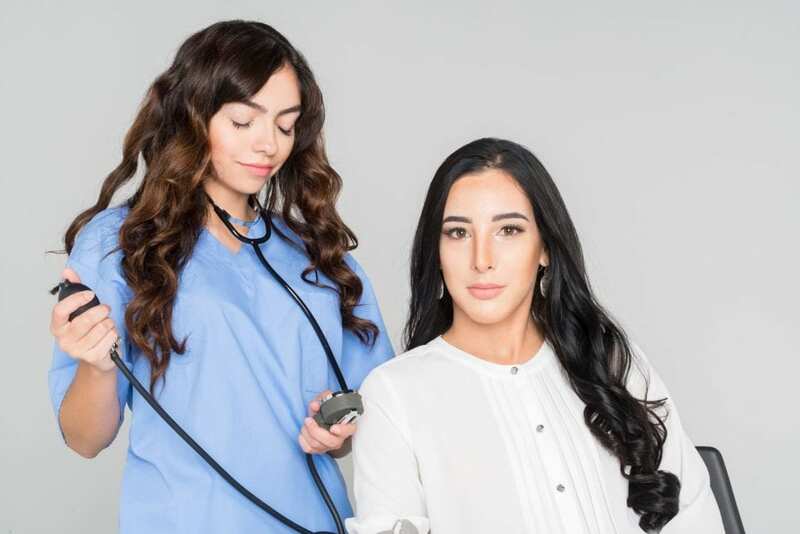 Practical nursing programs include theory and hands-on training not only to prepare students for employment but also for success on the Nursing Council Licensing Exam (NCLEX) for Practical Nurses. The program also provides a foundation for future study if you want to move up the nursing career ladder. Graduates qualify for entry-level employment in nursing homes, patients’ homes, assisted living facilities, rehabilitation centers, physicians’ offices, and clinics. While their duties vary by the facility, common tasks will include checking and recording vital signs, inserting catheters, wound care, maintenance of health records, interaction with patients and their families, administer medications, and collection of specimens. According to the Bureau of Labor Statistics, the job market for Practical Nurses is expected to grow by 12 percent through 2026. The projected growth is due in part to the aging popualation, increase in chronic illnesses, and the long-term care needs of the senior population. The median annual wage for Practical Nurses is $45,030, approximately $21.65 per hour. The Practical Nurse Program at Abcott Institute provides an accessible, inclusive atmosphere for learning. It delivers the content needed to produce nurses who have the confidence, knowledge, and skills to provide safe, culturally sensitive, and competent care to patients in a variety of health care settings. Graduates will recognize their responsibility to pursue lifelong learning to promote health and well-being. They will be eligible to sit for the NCLEX-PN licensure examination to become a Licensed Practical Nurse. Students enrolled in the program at Abcott will receive a solid foundation in the theory and techniques of clinical nursing, have opportunities to develop their skills through activities in the simulation lab, and participate in rewarding clinical experiences at off-site clinical facilities. Abcott encourages the development of communication and interpersonal skills through rapport with students, patients, and health care professionals, rehabilitative, preventative, and restorative nursing care, and the seamless transition from the classroom to the health care environment. The clinical experiences will be conducted in an acute or long-term care facility and will be closely supervised in a registered nurse instructor. The duration of the program is 12 months. During this time, students will complete 16 courses over the 51-week period. Students must complete 55 credits to graduate from the program. Classes meet Monday through Thursday from 9:00 am to 3:00 pm. Tuition for the program is $23,000. Books and supplies cost an additional $1,900. Detroit Business Institute’s practical nursing program prepares students for a rewarding career as a Licensed Practical Nurse. Through didactic and practical instruction, students will develop proficiency in nursing fundamentals and patient care. The one-year program covers 1096 hours of classroom lectures and off-site clinical rotations. Students will earn a total of 57.5 quarter credits. The duration of the program is 45 weeks. Course topics include medical-surgical nursing, pharmacology, maternal child nursing, fundamentals of nursing, medical terminology, gerontology, nutrition, dosages and calculations, and transition roles of the practical nurse. Students who successfully complete the program will receive a practical nursing certificate and will be eligible to take the National Licensure Examination (NCLEX-PN) for licensure as a practical nurse in Michigan. Tuition costs $27,500 for resident students. Other costs include textbooks, uniforms, immunization, background check, state exam, TB test, admissions test, and nursing supplies. Financial aid is available through Federal Pell Grant, Federal Supplemental Educational Opportunity, Federal Student Loans, Veteran Benefits, and Alternative Payment Plans. Only students who are officially admitted to the nursing career ladder can enroll in nursing courses at Schoolcraft College. The practical nursing program is approved by the Michigan Board of Nursing and accredited by the Accreditation Commission for Education in Nursing (ACEN). The curriculum will include theory and clinical rotations to produce graduates capable of providing competent and culturally sensitive care in hospitals, nursing homes, home health, and long-term care facilities. Course topics include pharmacology for nurses, foundations in nursing, medical surgical nursing, English composition, maternal child nursing, and advanced concepts in practical nursing. Nursing courses must be taken in sequence, and students must earn a minimum 80% before proceeding to the next course in the sequence. Upon successful completion of the program’s 44.5 credits, students will be eligible to sit the National Council Licensure Examination-Practical Nurse (NCLEX-PN) to become a Licensed Practical Nurse. Graduates can continue their education to the path of a registered nurse through the associate degree in nursing. New students are admitted in the fall semester. The program has pre-admission and admission requirements. Tuition costs $108 per credit. Students will need to budget for fees, supplies, textbooks, background clearance, TB test, immunization, CPR certification, and licensure exam.